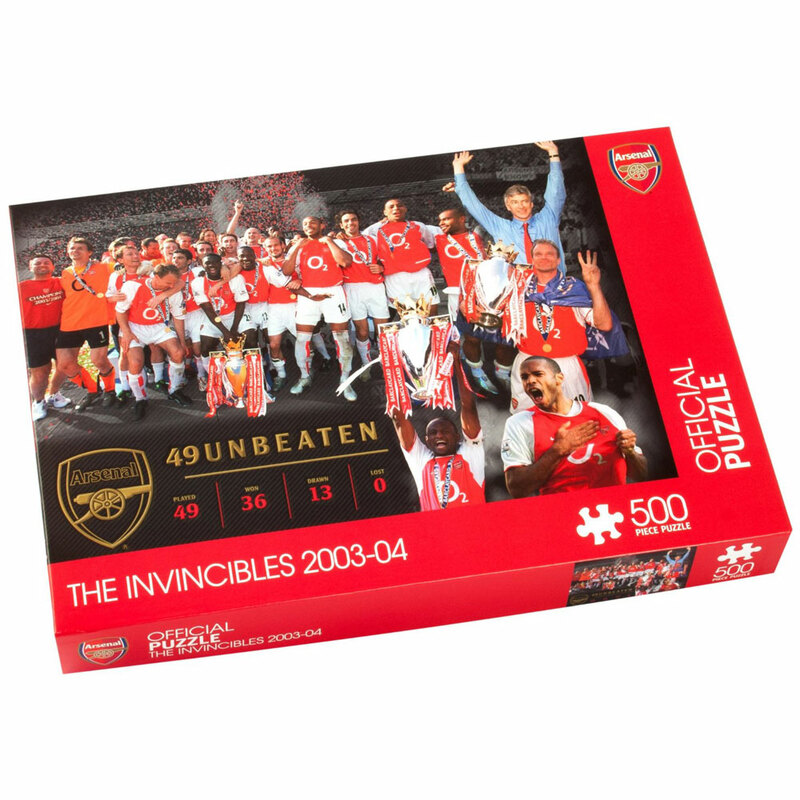 Arsenal 2003-04 'The Invincibles' 500 Piece Offical Jigsaw Puzzle from Paul Lamond Games celebrates a glorious English football era resulting in an unbeaten 49 game run for Premiership title winning Arsenal Football Club. An incredible 36 wins and 13 draws, still remembered by football fans in England, is celebrated in this popular jigsaw puzzle. Once constructed the puzzle could be framed as a hung permanent memoir for an Arsenal football fan. A great gift idea for any Arsenal football follower young or old, picturing Arsenal Football Club lift the 2004 Barclays Premiership trophy on the last day of the glory season. Jigsaw image includes legendary ex-Arsenal players such as Thierry Henry, Patrick Vieira and Robert Pires, with Arsene Wenger, who managed the title winning team.